I love the bunny garland & the bunny cupcake decor!! So Do~able and super cute! I've been saving egg shells for a while now, I found this cute pic and another one like it that had cute little flowers planted in them... pretty much anything would look adorable in an egg shell! seriously? Why didn't I think of this?! 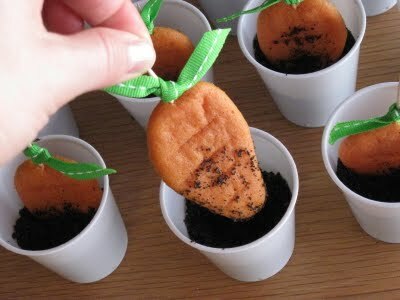 and I'm sooo making these cute carrot cookies, so cute and totally tasty! 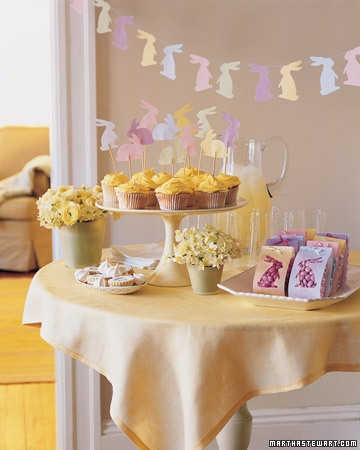 so now that we have some great ideas, we're ready for Easter!! I thought it would be a good idea to cover the table in the brow paper and throw some Easter grass down the middle, when the kids are done dying eggs they can set them in the grass to dry! And when your all done it's like a little Easter Egg Hunt trying to find them all! 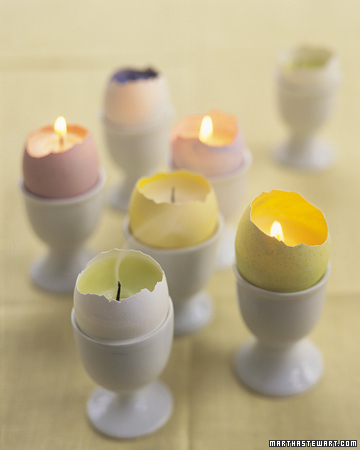 I like the paper towel & toilet paper rolls cut into pieces to set the eggs on to dry too! and of course one of my most favorite tricks :: the egg in the wisk :: so the kids can't drop it and break it... brilliant!! anyhoo! 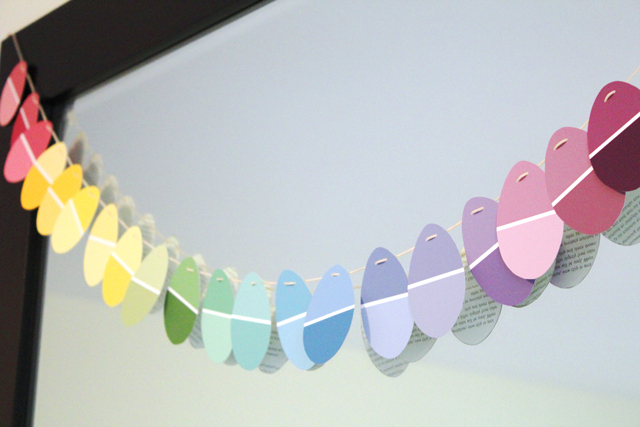 Just some ideas to get ready for the holiday! !